Ever wished you could save a video from the Internet? Search no more, Downie is what you’re looking for. Easily download videos from thousands of different sites. It supports a huge list of 953 websites. The developer is adding more websites rapidly. Ofcourse the main websites are already supported. 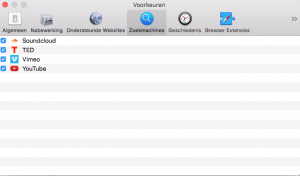 A nice Drag & Drop interface completes the software utility. Supports many sites – currently supports over 1,000 different sites (including YouTube, Vimeo, etc.) and the number is rapidly growing. 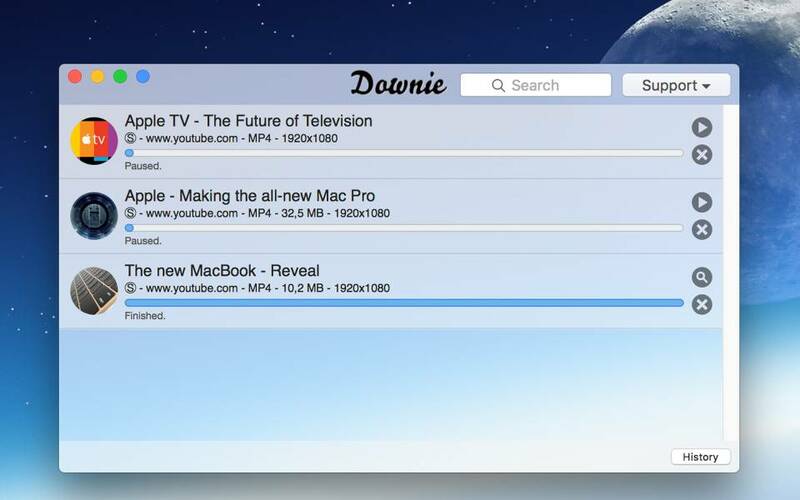 4K video YouTube support – unlike many other YouTube downloaders, Downie supports HD video on YouTube, up to 4K. Postprocessing – need your video in MP4 for iTunes? Or want just the audio track? No problem, Downie can handle this for you automatically! 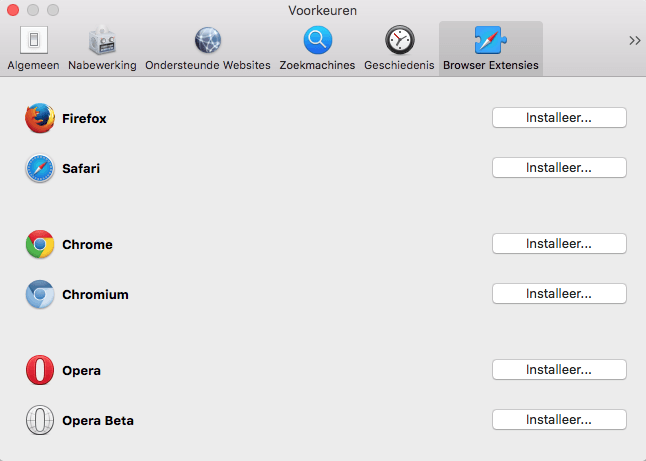 Search engines are pre configured ! Download resume is now supported. The preconfigured search engines are all film and sound oriented. There is NO normal Google or Bing search ! 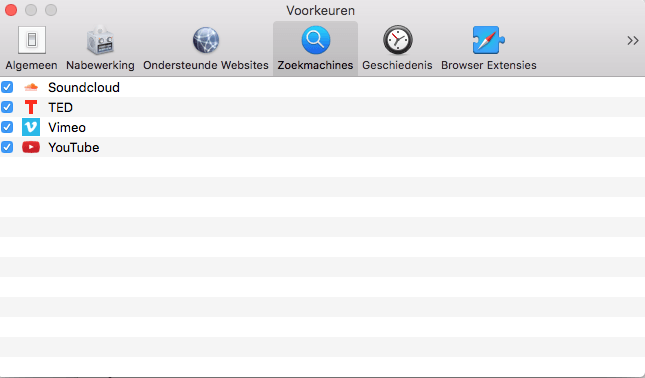 there’s a blue button right in the toolbar of the main window that shows the top 25 popular videos. 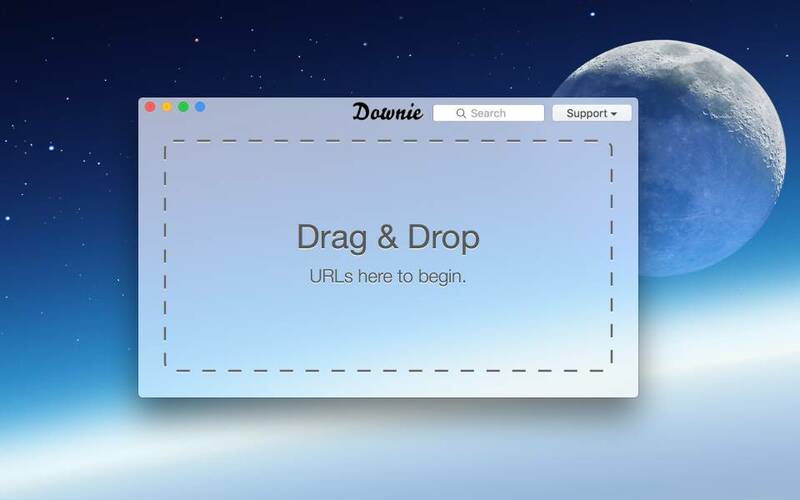 To start, you can drag a link from any browser either on Downie‘s window, or the icon in the Dock. If you have more links, or links within some text, just drop the whole thing onto Downie – it will scan the text for links. 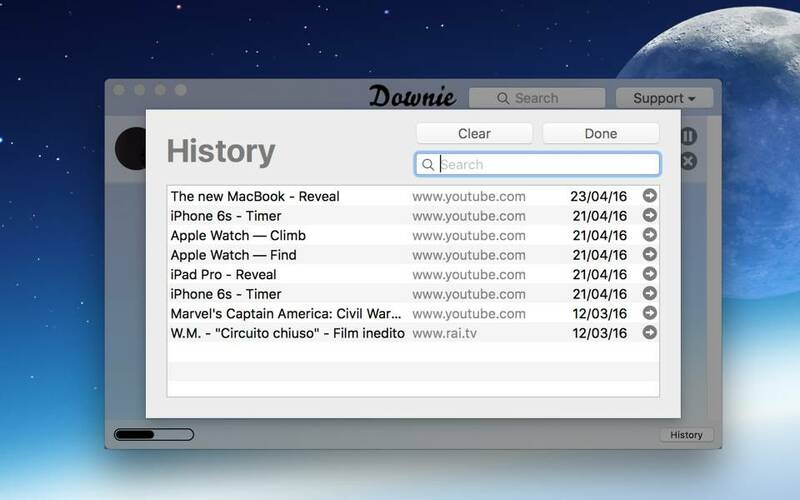 You can use copy and paste as well – just press Command-O in Downie and you can insert all the links in the world! 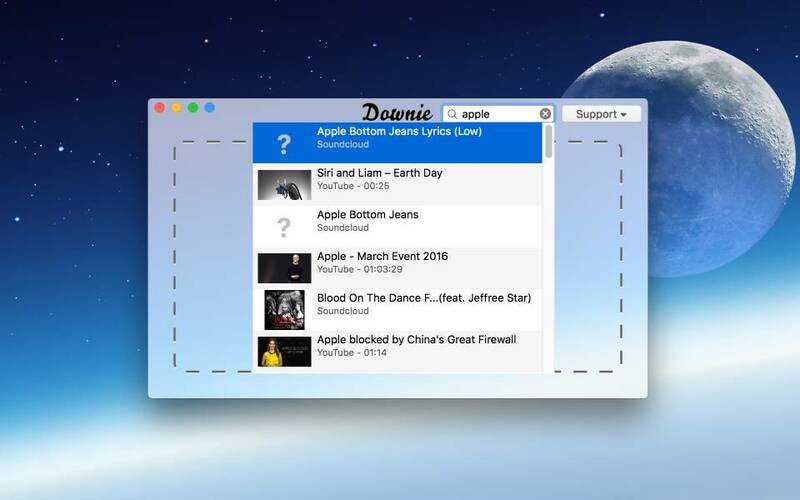 Are you in for soundtracks or movies and looking for a straightforward drag & drop utility ? Look no further, this little gem works well and fast. It even supports 4k material.